It’s a letter that would capture the heart of any golfer worth his salt. And it’s one that a lot of the world’s best professionals should make a point of reading as they forge a career in the golf world. It’s a letter that the greatest golfer the world has produced, Jack Nicklaus, has written to his 10-year-old self. 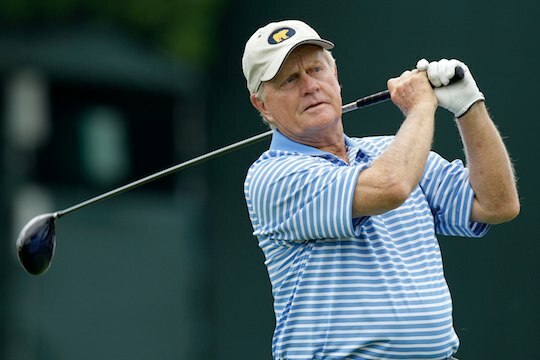 Now aged 79, and with 18 majors, more than any player in the game, Nicklaus has written the letter to remind him – and indeed the rest of the world – of his [and their] duties to the game of golf. He talks of his introduction to the game – and how he learned to play, with so much encouragement from his parents. He also talks about how he would meet his wife Barbara and their journey together in the greatest game of all. Watching the late, great Arnold Palmer in action when Jack was just a boy and later meeting – and eventually beating the great Arnie is another highlight. While Palmer gave so much of himself to golf and the world in general, including so much charity work over the years, Nicklaus has, in his own way, followed suit. Jack witnessed some serious frights over his years in the game, including watching his sister battle polio, which threatened him as well. Later in life his own daughter Nancy had a serious scare when she swallowed a crayon, which became lodged in her windpipe. Jack and Barbara almost lost her that day. And that only strengthened Jack’s resolve to do something about it and later, when he lent his name to The Memorial Tournament in Columbus, Ohio he would go on to oversee raising more than $33 million in charitable funds to help the community with families less fortunate and children in need. Jack would describe that work as more important than any four-foot putt he would ever make in his life. The letter goes on to explain that eventually Jack would start a foundation bearing his name with a mission to help children and work closely with the Miami Children’s Hospital. His impact would be so great that they would place his name on the hospital. And that foundation would raise more than $100m, ensuring no child in Florida would ever have to leave the state to receive world-class healthcare. And that’s a legacy greater than any 18 major championships. Read the full letter at www.theplayerstribune.com.